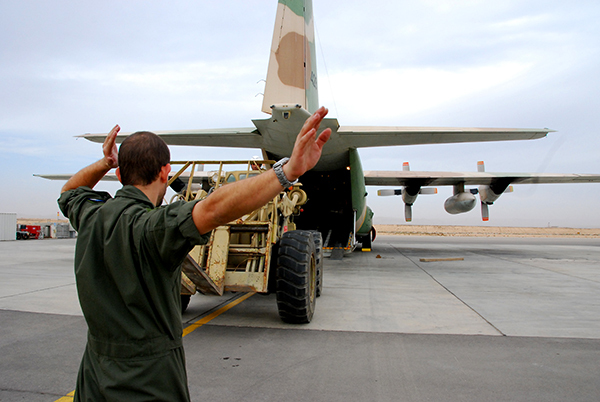 While the IAF Heavy Transport Division combatants are busy operating the aircraft's systems during a sortie, the loadmasters manage the mission diligently. 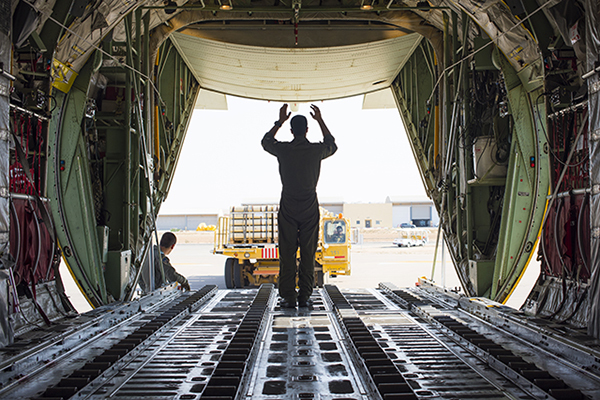 Whether it be concentrating the equipment and transporting it to the front, airdropping equipment or fixing malfunctions within the cargo hold during flight – all these are the loadmasters' responsibility. "My first time as a loadmaster on an operational mission was the most significant experience I had in my service", recalled Capt. D', Loadmaster Department Commander at the 103rd ("Elephants") Squadron, which operates the "Shimshon" (Super Hercules C-130J) aircraft. "It was a very complex mission which we had worked on for over 20 hours. When we returned, I walked down the street and passed people who went on with their day without knowing where I'd been just several hours earlier. It was an amazing feeling which emphasized the importance of the division's missions in my eyes". 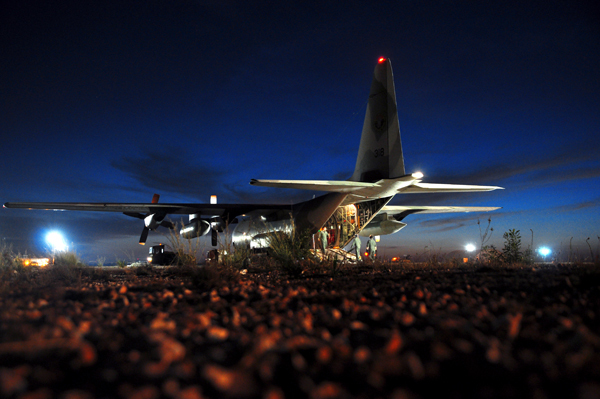 A loadmaster is an aerial combatant regularly positioned in the force's tactical transport aircraft – the "Shimshon" and "Karnaf" (Hercules C-130HI) aircraft. They act as the commanders of the cargo hold, and are under the command of the flight captain. "The loadmaster's role is to load and unload equipment while commanding over the cargo hold in various missions, at any place and at any time", elaborated Capt. D'. Loadmasters are combatants who dropped out of the Flight Course, underwent trials and successfully completed their training process. During the course, the cadets learn how to operate the aircraft's systems, how to plan flights and how to handle cargo overloads. The cadets perform dozens of sorties both in simulators and in the air, participate in paratrooper training, and perform a navigation seminar and naval extraction scenarios, among others. After graduating, they begin a two-month-long advanced training course. Currently, the first loadmaster course training combatants for both the "Karnaf" and "Shimshon" aircraft is being held. "The cadets are expected to be able to operate systems in several aircraft", emphasized Capt. T', Commander of the Loadmaster Academy. In the past, loadmasters were under the command of the Loadmaster Unit. The transport squadrons would plan their operational missions and the unit would select combatants for the mission. However, a transformation occurred when the "Shimshon" aircraft arrived. Upon the establishment of the 103rd Squadron in its new form, the establishment crew planned what the squadron would look like. Two loadmasters who took part in the process were the first to join the 103rd Squadron and establish the squadron's loadmaster department. "During the loadmasters' work as part of the establishment crew, we realized that a loadmaster department within the squadron would optimize our work. Thus, it was decided to make the department permanent", elaborated Capt. D'. "I fly in the aircraft alongside the rest of the crew and we all have the same mission. Everyone knows each other, which makes us more professional and deepens our personal relationships". "During the establishment process, we saw that the loadmasters acting as part of the squadron helped in the interpersonal relations with the rest of the crew and helped them familiarize themselves with the cargo hold's challenges ", described Lt. Col. R'. "This way, the crew members had the same patch on their uniform and the same commander". As a result of the process' success in the "Shimshon" squadron, it was decided to establish a loadmaster department in the "Karnaf" squadron as well. 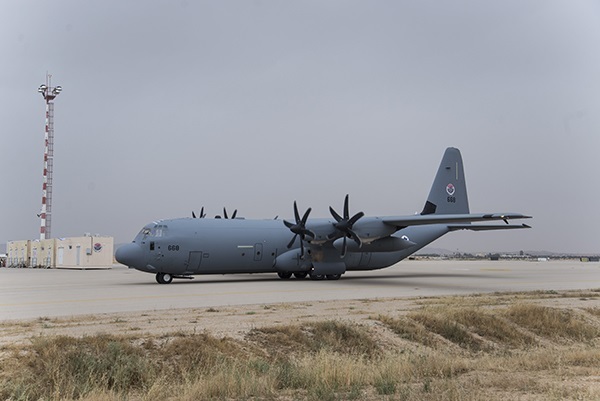 "The cargo hold is the heart of the aircraft – it allows us to load and unload equipment, as well as transport combatants and vehicles", displayed Maj. R', Deputy Commander of the 103rd Squadron. "The arrival of the 'Shimshon' aircraft greatly influenced the role of the loadmaster", said Capt. D'. "The lack of a flight engineer in the flight crew forced the loadmasters to take on additional responsibilities, including handling of emergencies and operation of the aircraft's fuel and aerial refueling systems, among others". Expanding the loadmaster's role turned out to be positive, and even ended up influencing the loadmasters' work on the new modified "Karnaf" aircraft. "In the past, flight engineers would handle emergencies in the cargo hold. Now, the loadmasters play a significant part and handle emergencies in the cargo hold by themselves, even though flight engineers remain a part of the crew", clarified Lt. Col. A'. "Previously, it was believed that flight engineers were to move from the cockpit to the cargo hold in case of a malfunction. Nowadays, flight engineers can choose whether or not they move to the cockpit – optimally, they should stay in the cockpit and help the pilot in command. In such cases, the loadmasters are those who lead the emergency procedures".